The theme of this year’s annual conference and meeting on Sunday, June 5, from 1:30 to 4:40 p.m., has a special poignancy given the death of our co-founder and President Emeritus, Nicholas Aiello, last November, as well as the passing of so many of our members in recent years. We will be honoring them and looking back at the history of this organization as we also envision our future. Anthony Riccio’s presentation, “Sisters and Sweatshops: The Life of Nick Aiello,” will be a keynote, with discussion to follow. We urge all who have memories of Nick and stories to share to come prepared to do so! There will also be a presentation about LHA’s 28 year history, followed by a discussion of its future. This is a crucial time not only to look back at what has been accomplished, but to imagine and begin to plan ways to accomplish the organization’s continuing goals in a social climate that is markedly different than it was in 1988. We need all hands on deck for this discussion session! This year’s Augusta Lewis Troup award will be presented to Louise Fortin, sister of Nicholas Aiello and a retired garment worker. The conference will conclude with the annual meeting, where members in good standing will vote on the newest by-laws revisions and for the slate of officers for 2016-2018. 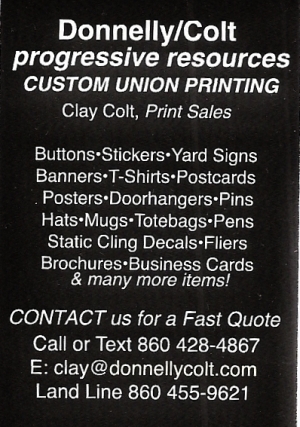 If you have memorabilia from Nick’s life or from the 28 years of the Labor History Association’s work, please contact us ASAP. We’re thinking about possible formats to display such things for posterity. Visit the conference website at http://www.conference.ctcor.org. New York Communities for Change is hiring Project Labor Organizers to join the exciting Fight for $15 Campaign. We are reaching out to activist groups to spread the word about these great jobs. Can you please share the below job postings with your network via e-mail and social media? We offer salaried positions plus benefits — paid work for a good cause. We encourage activists with organizing experience to apply. See the job listing below and apply today! Please contact Cara Jennings if you have any questions – cararyanjennings@gmail.com. Position: “Fight for 15” Project Labor Organizer with New York Communities for Change Location: New York City. Compensation: Competitive salary commensurate with experience, starting at $40,000/year. Individual health care and dental coverage is provided, as well as car allowance and paid time off. Details: The New York City “Fight for 15” campaign is seeking candidates committed to the fight for economic and social justice and to raising work place standards for thousands of fast food and low wage workers in New York City. This is an exciting opportunity to work for an innovative and ground-breaking campaign that is bringing together fast food and low wage workers to hold corporations and employers accountable, to improve working conditions, and to fight for $15 an hour and a union. Project positions are available immediately. For job qualifications and online application, go to http://SEIU.org. Search for “Labor Organizer, New York City ‘Fight for $15’ campaign” for this position. Other SEIU jobs are also on this website. The NYCC is an Equal Opportunity Employer. On Dec. 2, about 15 members of Unidad Latina en Acción and allies met with Mayor Harp and Police Chief Esserman. We read to them a letter that documented the many specific cases of Goodfellas Restaurant failing to pay employees minimum wage. A wage theft victim from Thai Taste gave his personal testimony. Mario Cerame, an attorney on 1st Amendment rights, sent a letter to Mayor Harp outlining the violations that the New Haven Police Department made when stopping a protest outside of Goodfellas on Nov. 20 and arresting John Lugo, charging him with disorderly conduct. We will be meeting with Mayor Harp’s office to follow up on our policy recommendations. Mayor Harp and Chief Esserman must condemn the actions of the officers who violated our constitutional right to assemble without police intimidation and retaliation. Our members have the right to protest anonymously, and it is illegal and inappropriate to demand identification, especially when NHPD and Goodfellas have threatened to use IDs to create a blacklist. Officers must be educated that a civilian noise complaint alone is not grounds for arrest. We also assert our right to record any interactions our members have with police. Our families shall not be threatened, and officers shall not question our decision to bring children to peaceful protests. New Haven must immediately revoke the outdoor seating license of Goodfellas restaurant. It is unacceptable that our city is facilitating a criminal enterprise at Goodfellas, an enterprise that has been found guilty of wage theft on multiple occasions by multiple government agencies and is currently under investigation for forced labor, wage theft and other threats to the health and safety of New Haven residents. The City of New Haven gave Goodfellas the license, and the City of New Haven is the only entity that can revoke it. Two members of ULA (Karim Calle and I) agreed to attend meetings of the Community Policing Task Force to address the issues we raised in our letter. We are also collaborating with Board of Alders on wage theft. Meanwhile, public actions against wage theft at Goodfellas, Thai Taste, and other establishments continue. From Ariel Johnson’s beautiful rendition of Change is Gonna Come to the closing performance by Ice the Beef Stop the Violence Start the Peace, the 2015 People’s World Amistad Awards inspired young and old alike with its message of unity and struggle. Themed “Justice for All – In Solidarity with Black and Latino Youth – Stop the Right-wing Attacks,” the event greeted actions by youth to end racism and achieve a future with hope and dignity. Awardees included Jill Marks, a leader of New Haven Rising and Alder-elect in Ward 28; Ciro Gutierrez, member-leader of SEIU 32 BJ building cleaners union in Hartford, and Cindy Harrity, Communication Workers of America Local 1298 organizer, retired. Marks said she was moved to become a grassroots leader after knocking on thousands of doors and hearing the problems of ordinary families. She urged those present to join the fight for good jobs and attend a New Haven Rising rally Dec. 12. Gutierrez, born in Peru, described how he became involved in the social movement during the right-wing coup in his country. When his family came to U.S. after losing their public sector jobs to privatization, he continued his commitment to workers’ rights through his union. Harrity, unable to project her voice due to illness, prepared comments read by husband John Harrity. Cindy, well known for her successes as a union organizer, urged those present to “be unreasonable” when confronted with exploitation, unfairness or any injustice. The awards were held on the 96th anniversary of the Communist Party USA. Edie Fishman, who joined the YCL at 14, now in her 80th year in the working-class movement, received flowers from the youth. She recounted experiences which won social security, unemployment compensation, health and safety on the job, and ending Jim Crow racial segregation. “When we stick together and fight together we can win,” she said. Performances also included Capoeira by Raca em Moviemento Dance Studio and poetry by Gaylord Slaters and Aaron Jafferis. 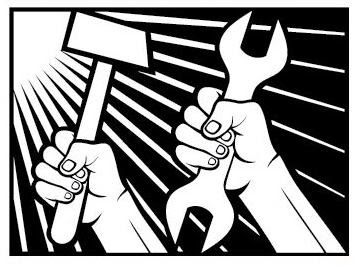 Labor History Legislation Becomes Law in CT! Thus, Connecticut became only the third state in the nation to have a bill that teaches labor history in the public schools. Senate Majority Leader President Martin Looney spear-headed the effort with strong grassroots support from the AFL-CIO, labor activists, 15 statewide unions, and individual members of the Greater New Haven Labor History Association. Advocates for this bill recognized a lack of awareness of the role labor played in history in helping to create the middle class. Young people today don’t know that it was through the effort of workers and unions that helped give American society the weekend, minimum wages, health care benefits, social security, Medicare, 40-hour work week and unemployment insurance. With growing income inequality and a declining union movement, this legislation is needed now more than ever to get the untold story of labor’s contributions included in American history. Follow us at http://laborhistory.com. Stand with us: We will not be silenced. We will not be intimidated. We have been picketing Goodfellas for 6 months. We have been picketing businesses that steal wages from workers for 10 years, and we will not stop. Arrest the owner of Goodfellas, not the peaceful protesters. Wage theft is a crime. Protesting for our human rights is not a crime. The CT Department of Labor and US DOL have found Gerry Iannaccone, owner of Goodfellas, guilty of stealing from dozens of workers. Yet this crime goes unpunished. New Haven gets a lot of credit for being a welcoming city for immigrants. Is New Haven a welcoming city when immigrants are criminalized for peaceful protest and wage theft goes unpunished? Unidad Latina en Acción is currently supporting workers in cases of wage theft and discrimination in Goodfellas, Gourmet Heaven, 116 Crown, Thai Taste, Fair Haven Clam & Oyster, El Buen Gusto, La Carreta, among other local businesses. In a press conference in 2014, Chief Esserman stated that wage theft is a crime under Connecticut law and that the NHPD is willing to act to enforce that law. In spite of those good words, the NHPD is doing the opposite: punishing the victims of wage theft and their advocates. On Nov. 6, 2015, Esserman walked into Goodfellas to eat dinner while ULA was picketing the restaurant, ignoring our attempts to speak with him. On Nov. 20, after the NHPD arrested John Lugo, one of the officers entered the restaurant and came out with a bag of food for the police. NHPD, which side are you on? 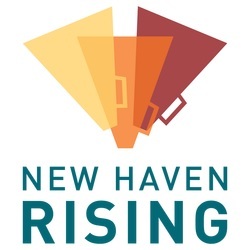 Together with our allies in the labor and faith communities, New Haven Rising calls for a March for Good Jobs on Thursday, June 11. Meet at the Amistad Statue outside City Hall (165 Church Street) at 5 p.m. There are over 83,000 jobs in the city. Yet less than 1 in 4 of those jobs is held by a New Haven resident. And of the livable wage jobs only 2,000 are held by residents of neighborhoods of need like Dixwell, Fair Haven and the Hill. This needs to change. We call on the city’s large employers, developers and construction companies to do their part to solve this jobs crisis. It’s time to hire qualified New Haven residents and create a strong, prosperous future for all New Haven communities. Contact us at risingnewhaven@gmail.com or (203) 533-2283 for more information. The Labor History Association will hold its annual conference and meeting on Sunday, June 7, 2015 from 1:30 to 4:30 p.m. at the Council/Teachers Building, 267 Chapel Street, New Haven CT. The recipients of this year’s Augusta Lewis Troup Preservation Awards are Rick Wolff and the late Mike Dennehy. Named by The New York Times Magazine as “America’s most prominent Marxist economist,” former long-time New Haven resident, Rick Wolff, is Professor Emeritus at the University of Massachusetts. Since his move to New York City, he has been an organizer of the Left Forum, broadcasts a program on WBAI (Pacifica Radio), and writes regularly for The Guardian and Truthout.org. He has appeared on a number of high-profile TV interview programs including Bill Moyers, Amy Goodman’s Democracy Now, Charlie Rose and Glen Beck. His books include: Capitalism Hits the Fan: The Global Economic Meltdown and What To Do About It (2009); Contending Economic Theories: Neoclassical, Keynesian, and Marxian (2012); and Democracy at Work: A Cure for Capitalism (2012). Mike Dennehy, 55, passed away on April 22, 2014, while attending an arbitration hearing for a member of the Greater CT Area Local 237 of the American Postal Workers Union. He gave 34 years of service to the United States Postal Service and was a union member or officer for all that time. He held numerous offices in his union, from Vice President of the Bridgeport local to his final position as a Vice President of the Greater Connecticut area local in charge of representing associate offices. He was a credit to labor and his profession. Labor History will be presenting his Augusta Lewis Troup award posthumously, to be accepted by family members. Further details of the conference will follow. 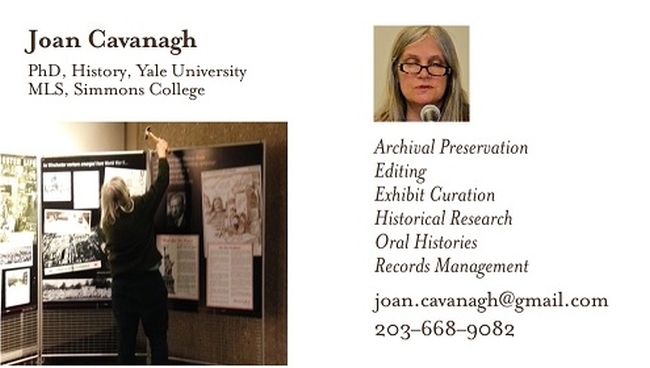 For more information, contact joan@laborhistory.org.